We all know that walnuts are delicious, which explains why they are an all-time American favorite. However, we’ve learned in recent years that these popular nuts are absolutely jam-packed with vitamins, minerals, protein, and those all-important Omega-3 fatty acids. Although growing walnut trees takes some time, it’s possible to grow walnuts in most climate zones of the United States. Read more below. An underutilized nut, the butternut, is a hard nut that is as large as a pecan. If you are lucky enough to have one of these gorgeous white walnut trees, you may be wondering when and how to harvest butternut trees? This article can help with that. Butternut trees are treasures that add grace and beauty to the landscape, but butternut canker disease ruins the appearance of the tree, and it is almost always fatal. Find out about preventing and treating butternut canker in this article. Walnut trees grow quickly, and before you know it, you have cool shade and a bounty of nuts. You may also have cankers that can kill the tree. Find out about fusarium canker in walnuts in this article. Click here to learn more. Walnut bunch disease affects not only walnuts, but a number of other trees, including pecan and hickory. 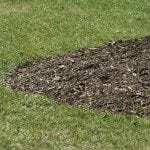 Find helpful information regarding symptoms of bunch disease and bunch disease treatment in the article that follows. What are butternuts? No, don?t think squash, think trees. Butternut is a species of walnut tree and the nuts that grow on these wild trees are easy to process and delicious to eat. For more butternut tree information, click this article. Walnut tree pruning is important for the tree?s health, structure and productivity. Walnut trees make nice shade trees, are excellent timber specimens, and produce delicious nuts. Click this article to learn how to prune a walnut tree. Walnuts are high in protein and delicious! What better reason to grow your own? The question is, when are walnuts ready to pick and what is the best way to pick walnuts? This article will help with harvesting walnuts.